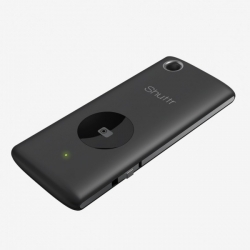 Muku Shuttr is a remote shutter release for your smartphone. 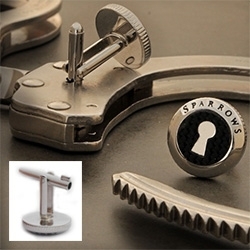 POSH STAMS. 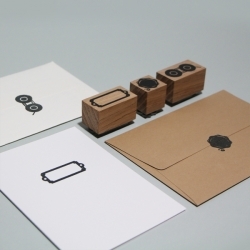 Handmade solid oak rubber stamps that add a little traditional luxury to your paper work. 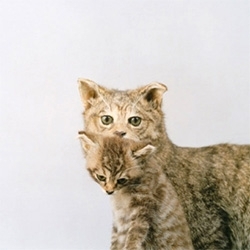 Designed by Moko. 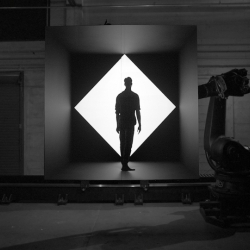 VIDEOA behind the scenes look at Box, Bot & Dolly's short film which documents a first-ever live synchronized performance using 3D projection mapping, robots, and actors. 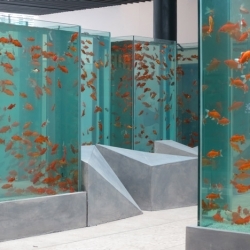 A city for fish modelled on a high-rise development underway in Xi'an, China, has been installed in a gallery next to the construction site. 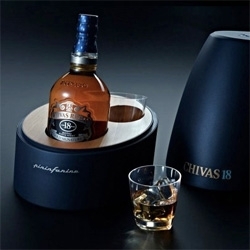 New Pininfarina have collaborated with Chivas to release a special edition packaged 18 year old Scotch. 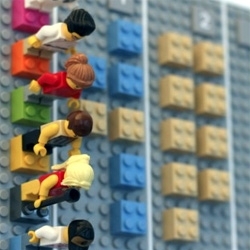 The Lego Calendar by Vitamins Design is a tangible wall calendar that syncs online through custom code and smartphone camera. 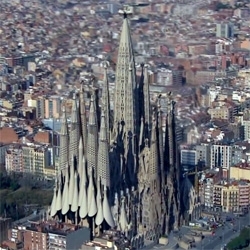 VIDEOA new visualization of Antonio Gaudi's Sagrada Familia church in Barcelona shows the final steps to completion in a 3D animation. 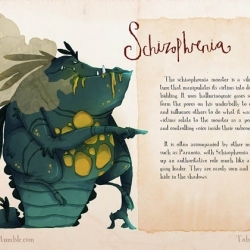 The Monsters of Mental Illness, Illustrations by Toby Allen. 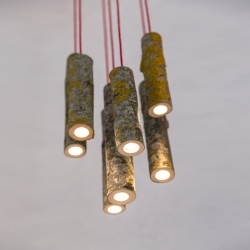 'Bio Mass Lights' pendant lamps by English designer Jay Watson. 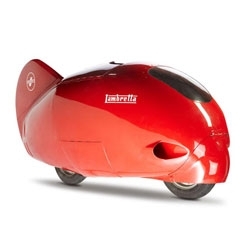 The Lambretta Record, a record-breaking scooter that in 1951 reached 201 kilometers per hour. 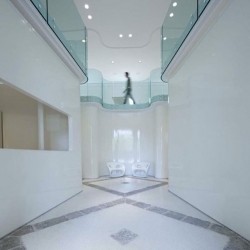 Gorgeous offices of Rubens Luciano’s in Villa Gritti, Stra, near Venice designed by architect Simone Micheli. 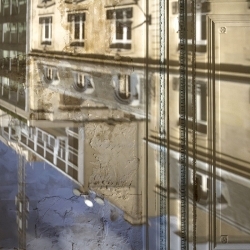 Romain Alvery and Antoine Levi create camera obscuras inside Parisian apartments in their Stenop.es series. 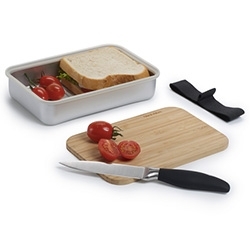 Black + Blum Sandwich on Board Set ~ cute cutting board design built into this sandwich box! 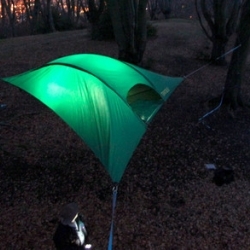 TENTSILE tree tents offer a unique way for you and your friends to experience the great outdoors, away from uncomfortable or uneven ground conditions, wetness, bugs and other creepies. 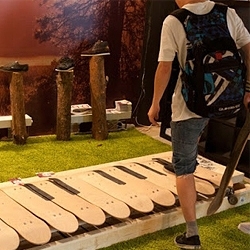 Take your camping to a new level! 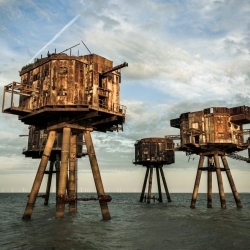 Play, Camp, Explore.. 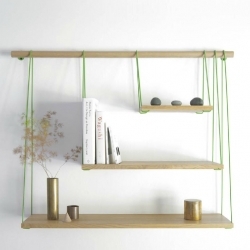 Suspension bridge inspired shelving designed by Outofstock and manufactured by Boila. 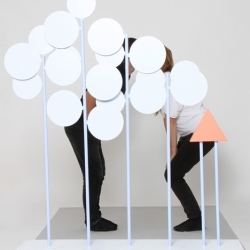 Reach is a large-scale interactive mural and musical instrument created for the Children’s Museum of Pittsburgh. 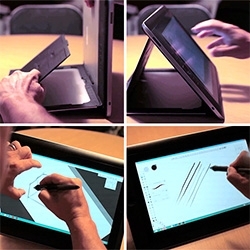 This photo booth detects when subjects kiss, fires a high-tech OLED flash and captures the moment on a low-fi thermal print-out. 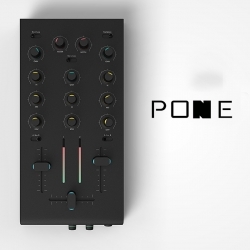 Pone is a simple & playful mixer which will help you to start mixing electro and why not to reach the high level of DJ Pone. 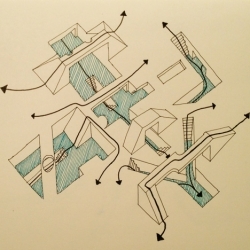 Minnesota architect Josh Lewandowski has started a blog where he'll post one meaningless architectural diagram every day for a year. 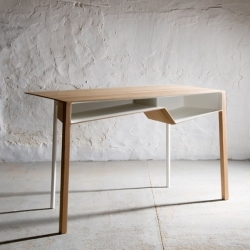 'B011' desk by Belgian designer Frédéric Richard. 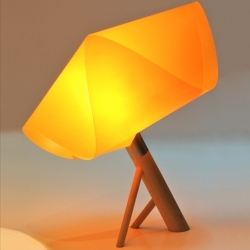 'Poppy' smalls lamps by French designers Wa De Be. 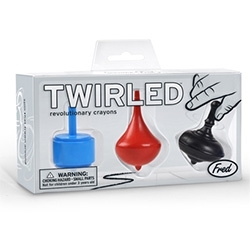 Fred Twirled Spinning Top Crayons! 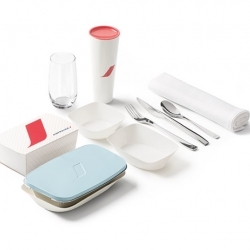 New accessories and tableware for Air France by Eugeni Quitllet. '8ung!' 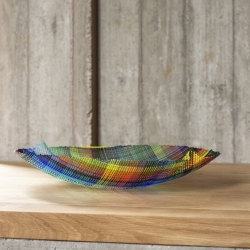 a small container of molded and colored glass by Flemish artist Klaar Prims. 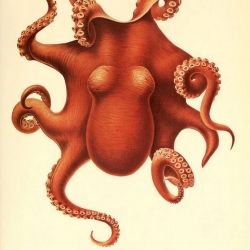 Flickr set of the Biodiversity Heritage Library! BHL works collaboratively to make biodiversity literature openly available to the world as part of a global biodiversity community. 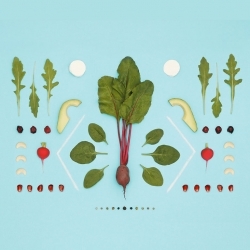 Great identity work for Food Throttle by Dennis Adelmann & Carolin Wanitzek. 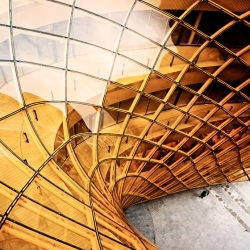 A gigantic golden chasm welcomes visitors to the Emporia shopping centre in Malmö by Swedish architects Wingårdhs. 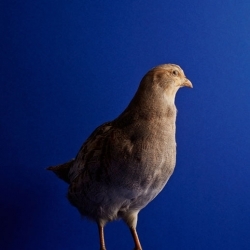 The Bird’s Odyssey, great series by Gustav Almestål for The Gourmand. 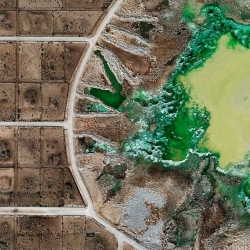 Feedlots, a new series from Mishka Henner, showing factory farms as seen from publicly available satellite images. 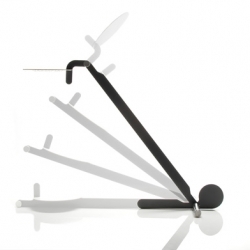 Ontwerpduo's Rockid Rocking Chair Cradle, combining chair and cradle. 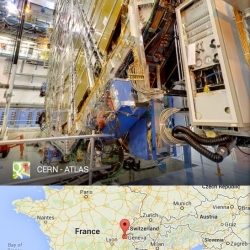 Google Street View takes you inside CERN, offering a glimpse inside the home of the Large Hadron Collider in Geneva, Switzerland. 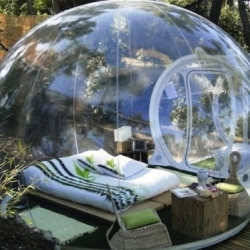 Attrap Rêves, a French countryside hotel in Marseilles that invites guests to sleep under the stars in their transparent pods. 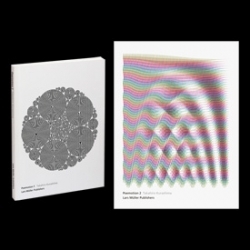 Due out this October from Swiss publishing house Lars Müller, interactive moving optics book Poemotion by Japanese graphic designer Takahiro Kurashima will soon have a color sequel in Poemotion 2. 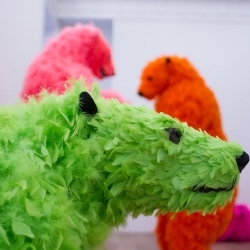 FEATUREDA first look at After Life, an exhibition of poignant portraits of extinct and endangered species from Sean Dooley, which opens at the Horniman Museum and Gardens this Saturday. 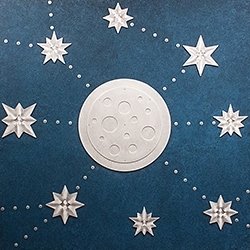 Beau is a hand cast and polished concrete bat sculpture. Hang it on the wall. 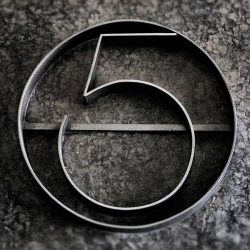 Hang up your coat and hat. 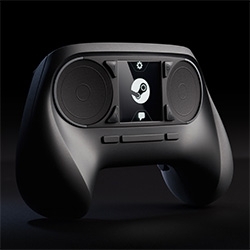 Ward off intruders. 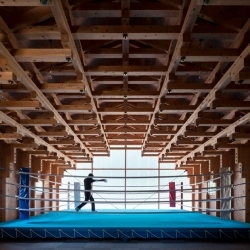 Flex offs. 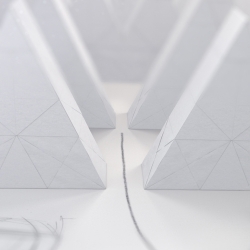 VIDEOJaguar with Trunk Animation created a film that evoked the ethos of their new all-aluminum technical architecture, the foundation of the stunning new C-X17 sports crossover concept vehicle – without actually showing the car itself. 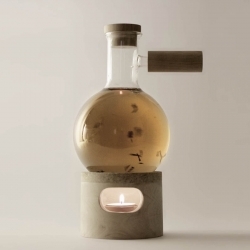 Gru, entirely two-dimensional, and made with a material never before used to design a lamp: vetronite. 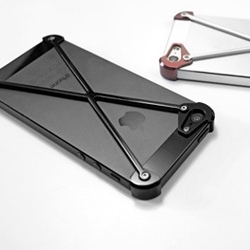 The RADIUS iPhone 5 and 5s bumper consists of the corner modules and the X frame that holds them together. 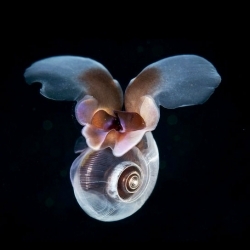 Wired's roundup of some of the most otherworldly creatures you'll find on Earth, including this Sea Butterfly.